Camp Illahee, an all girls summer camp in Brevard, NC, seeks riding instructors for hunt seat program. Facilities include a well maintained 25 horse barn, covered riding arena and beautiful pastures. Riding staff must have interest in working with children and the abiltiy to work well with peers on staff. Minimum age is 19 with solid equestrian experience required. Riding instructors live in rustic camp cabins. 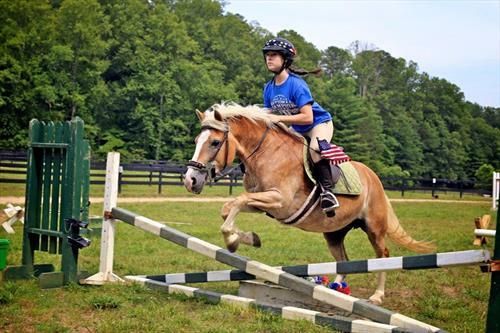 Camp Illahee for girls offers an English hunt seat equestrian program for campers age 7 to 16. There are 26 horses, a covered riding arena and three outdoor rings for lessons. Additionally a well maintained rustic barn and office provide a great setting for staff and campers.